One never knows what's going to pop up on their monitor when on-line. I was surfing cyberspace when I was contacted--via my computer--by the ghost of Robert Falcon Scott, famed British polar explorer. 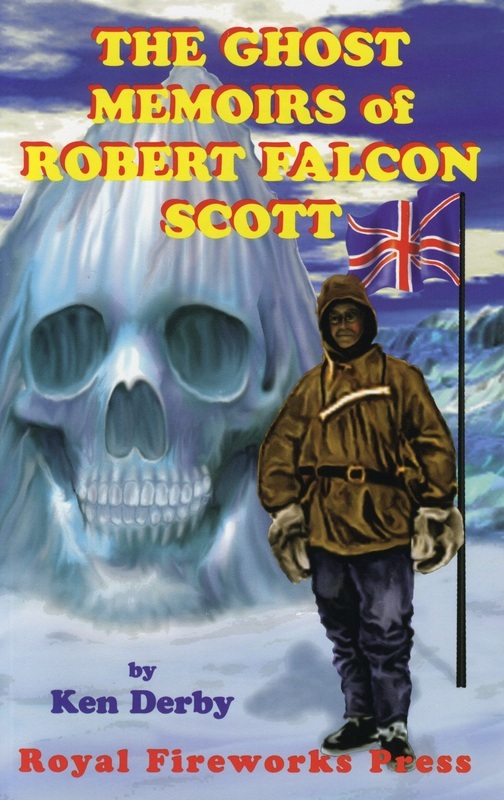 The Ghost Memoirs of Robert Falcon Scott is the result of a supernatural exchange in which Scott shares his story of how he became a relentless explorer with one goal in mind: the South Pole. Scott finally reached his goal, but met a tragic death in Antarctica in 1912. This story is comprised of transcripts of e-mail conversations between Scott and myself as well as Scott's first-person account of his life. The book includes two maps, a glossary of terms, a glossary of places, and a bibliography. Paperback released by Royal Fireworks Press. Order directly from Royal Fireworks Press. This website does not share personal information with third parties.